Many people like to buy e-cigs form well-know brand like joyetech, eleaf, wismec and so on. As the brand awareness is sometimes important for someone. But today I will introduce two unknown brand. Vandy Vape and Digflavor. I have to say, their tanks are really good and cheap for most people. The popularity of their tank is similar to other brand kits. The Vandy Vape PHOBIA RDA is the innovative RDA that features the deep juice hold system, single/dual coil deck and easy big screws. The deep juice deck can hold more juice and the 4 big screws made the RDA easy to rebuild. Besides, the innovative adjustable bottom airflow system will bring the chase cloud vapor. You can choose to use 810 drip tips and custom 24mm Chuff Caps. 4 colors for you to choose. It is pre sell now. Vandy Vape Iconic RDA is the next revitalization updated version of the beloved Icon series. Integrating the unique design from icon rda. Iconic RDA will satisfies any cloud chasers and let you taste flavors like never before! Iconic RDA comes with resin drip tip preinstalled, also has a delrin doc tip and frosted doc tip included in the package. Integrating both side and bottom airflow system. The bottom airflow tubes allows extra room in juice well and prevents risk of leaking. With the clamp post system, you can install your coils and wick very easily. It is in stock now. Vandy Vape Bonza RDA is a bottom feeding dripping atomizer designed by The Vaping Bogan. It features 24mm in diameter and with the gold-plated fixed screw clamp post building deck. And the Bonza 24 RDA compatible with both 810 drip tip and 510 drip tip, and the Colorful food grade resin drip tip is really amazing. With the concentrated side air-flow system, it brings you the dense flavor. It is in stock now. 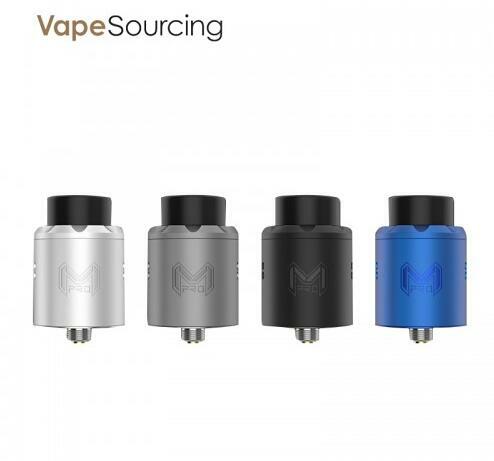 The Mesh PRO RDA features an innovative postless clamp design, which compatible for both mesh wire builds and standard coils, and a deep juice well, the deep juice well allows more space for cotton and e-liquid. It is easy buildings with postless clamp deck. In addition, the Mesh Pro includes a bottom feeding pin for those who enjoy squonking! It is in stock now! 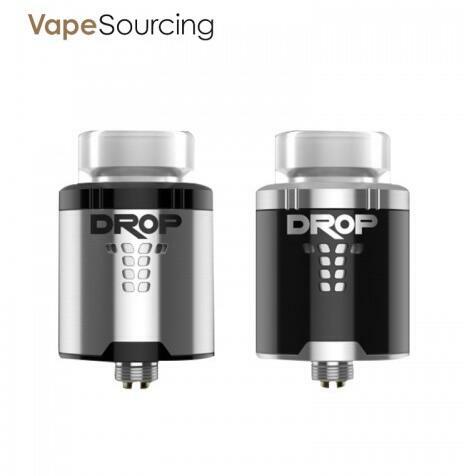 Digiflavor Drop RDA with 4 large post holes allowing for easy coil placement and maximum build space with open access to trim excess. The Stepped airflow design provides precise control while maintaining an ultra smooth and whistle free experience. Deep and spacious juice well with perfect post placement allows for leak free convenient dripping access. Locking top cap guarantees perfect airflow positioning which makes adjusting airflow much easier. Conical shaped top cap provides smooth and uninterrupted airflow. 2 different sized 810 drip tips and a 510 drip tip adapter included for personal preferences. Removable gold plated positive and negative posts. 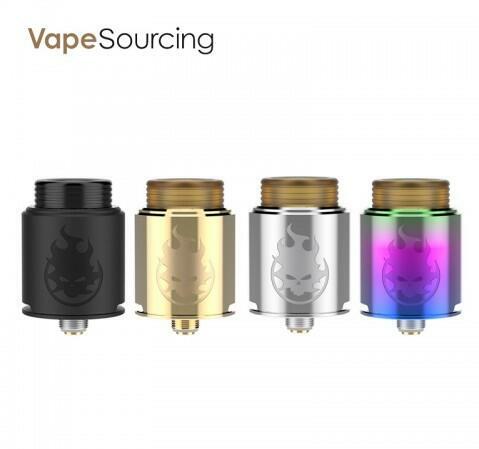 Standard 510 pin and Raised BF squonk 510 pin is included. It is in stock now.